WILMINGTON, NC (WECT) - Dot Dibble has been leading Faithfully Fit fitness classes for 17 years. 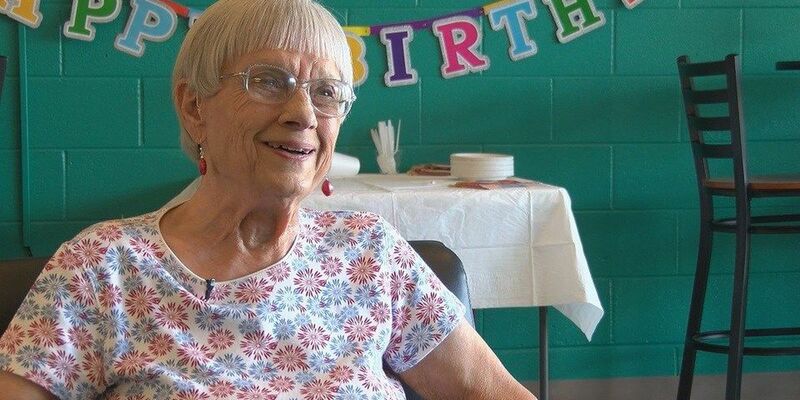 Dibble said she began teaching the class for seniors through the Temple Baptist Church as a way to stay active herself, and at 95 years old, she has no plans to stop. "You cannot just sit around because then you get to where you cannot move around. You have to keep everything working, and that's what we're doing," she said. "We're working on all your joints, all your muscles and trying to keep those so that they can move and help you be active." Dibble celebrated her 95th birthday with her class Tuesday morning at the Midtown YMCA at the Temple Baptist Activity Center. Penny Reilly has been taking the class for 14 years, and said she's proud to tell people about her instructor. "She is amazing and at 95, she kicks the highest in the class," Reilly said. "She is smart and charming and thankful for us, but we're more thankful for her." Dibble said as the oldest person in her class, she doesn't take any excuses from her students. Her 50-minute class doesn't include any breaks. "We just use all your joints and muscles and just keep you exercised so that you can move all your parts," she said. Dibble's students said the class is also a great opportunity for seniors to socialize and meet one another. Reilly said members of Faithfully Fit also go to lunch together occasionally. Dibble said she is an active member of her church, and attends weekly Bible study as well.